The following is my savings account annual percentage rate (APR), as well as the interest paid to me, by BMO Harris Bank. Classic brick-and-mortar banks seldom pay more than a 0.05% APR and often require that you maintain at least a thousand bucks in the account in order to collect your piddly interest. In light of these abysmally low interest rates, it’s no wonder that people are draining their bank accounts and investing in stocks, bonds or even gold. Still, you do need to have ready access to cash in case of an emergency; so, you need to have at least some funds squirreled away in a savings account. The question, remains, however, just which banks have the highest savings account interest rates. The answer lies in online banks. Unlike the brick-and-mortars, online banks don’t have physical locations to pay for and upkeep. Staffing costs are also reduced because most of the banking is automated. 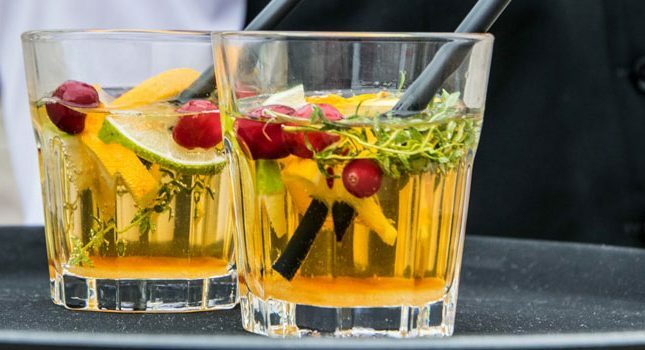 These cost savings usually translate to higher interest rates for you. Furthermore, online banks, just like their brick-and-mortar siblings, are FDIC insured. 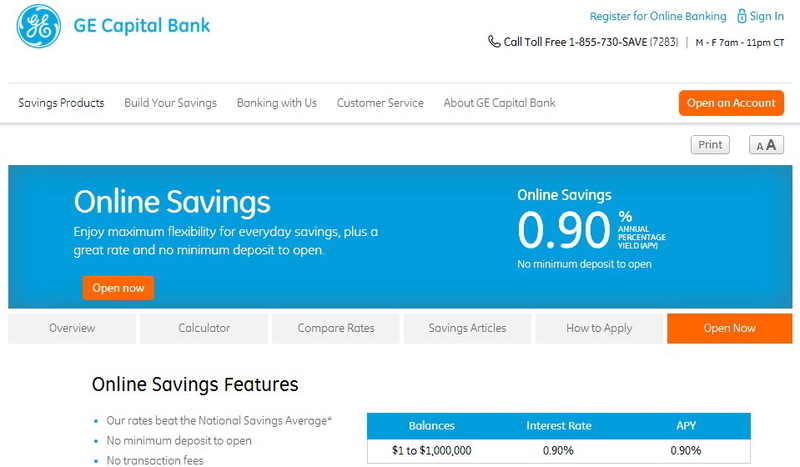 Here are some online banks that offer the highest interest rates. I’ve organized the banks from highest to lowest rates. First time account holders of EverBank’s Yield Pledge Money Market Accounts earn a 6-month bonus rate of 1.40%, and a 1.01% APR thereafter for up to the first $50,000 invested. While a minimum $1,500 is required to start a money market account, there is no actual minimum amount required to collect interest. 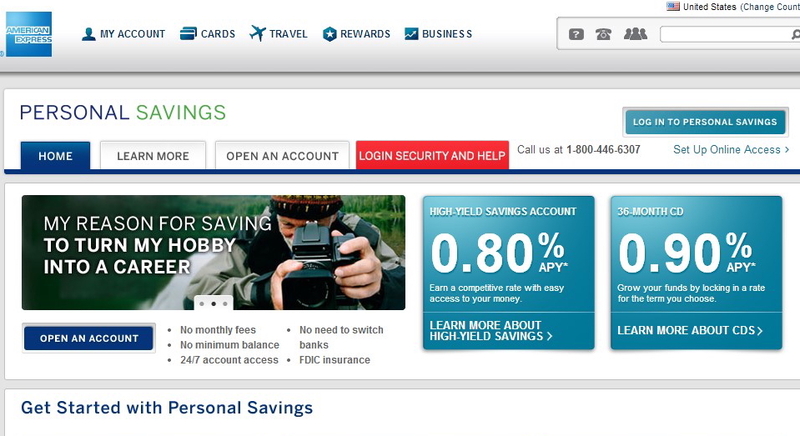 This New York-based bank offers online Mysavings Accounts that pay a 1.00% APR. There are no fees or minimum amounts required; also, you can fund your savings account directly from your current checking account. 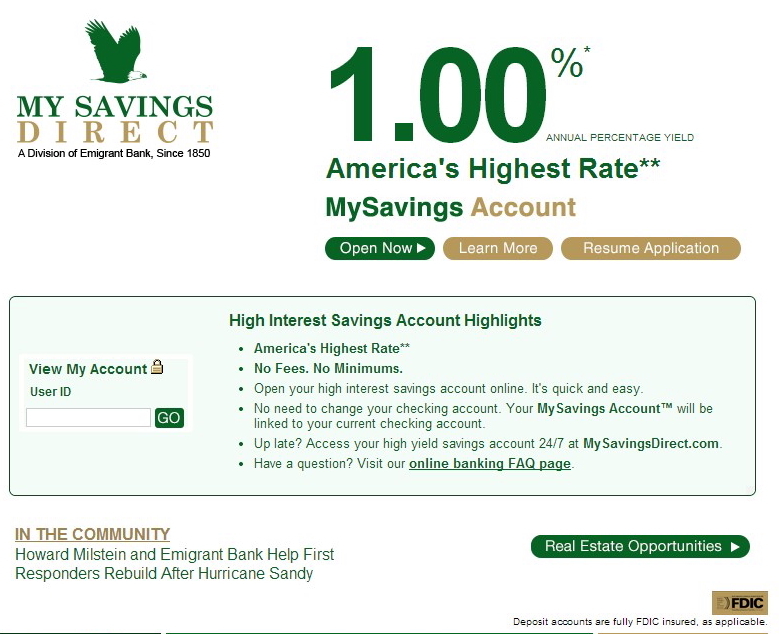 This bank offers an Optimizer Plus High Yield Savings account that pays one of the best interest rates ever at 0.95%. Money market accounts pay a 0.85% APR. There is no minimum balance required; however, you are assessed a $5 monthly fee if your account falls below $50. Interest is compounded daily. 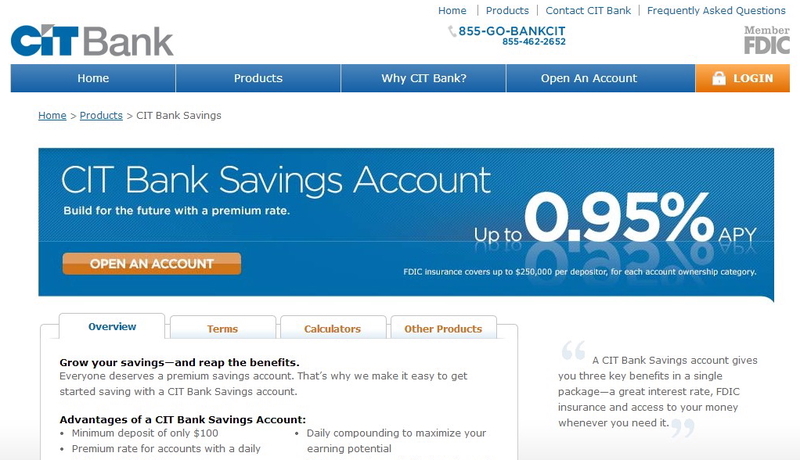 With just a minimum deposit of $100, you can have your savings account with CIT Bank earning a nice 0.90% APR. 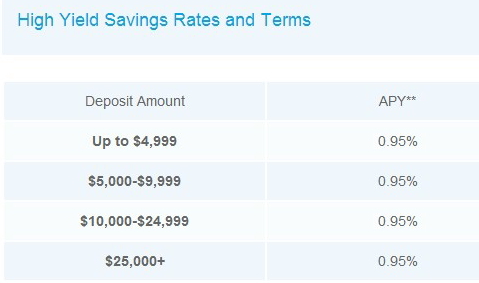 Savings accounts that are $25,000 or higher earn a 0.95% APR with CIT. This St. Louis-based bank has been around since 1908. 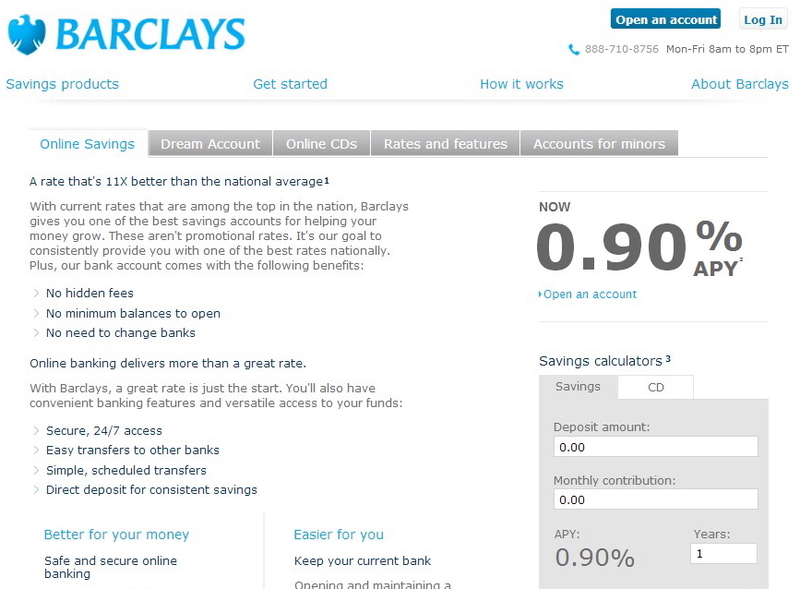 Barclays online savings account offer a high 0.90% APR, no hidden fees or account minimums, as well as easy transfers from your other existing banks. Plus, you can set up direct deposit so that you can save money regularly. The bank also offers CDs with a 0.35%-2.25% APR. Another clear winner in the high APR category is GE Capital Bank- this online institution pays a whopping 0.90% on savings accounts and requires no minimum balance. Yearly CDs pay a 1.10% APR, and 5-year CDs pay an even better 2.25%. 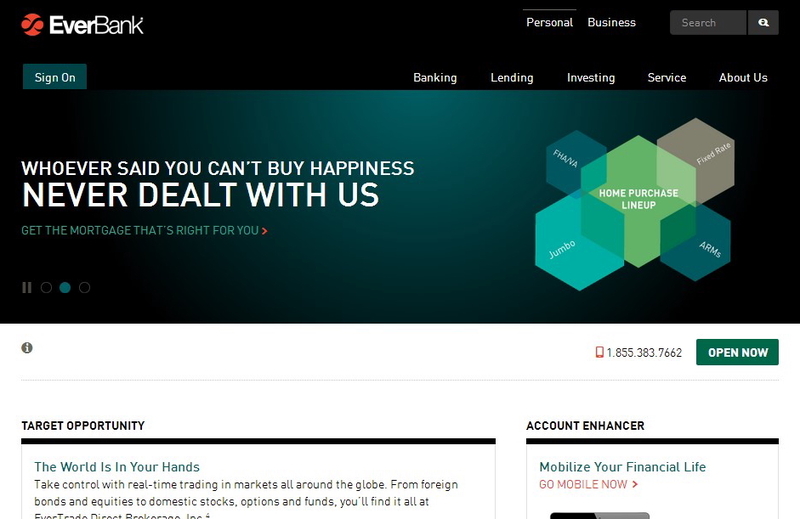 The bank offers no checking accounts, incidentally, just savings instruments. Headquartered in Midvale, Utah, Ally offers a competitive 0.87% interest rate on savings accounts and a 0.87% APR on money market accounts. Neither account requires a minimal balance. 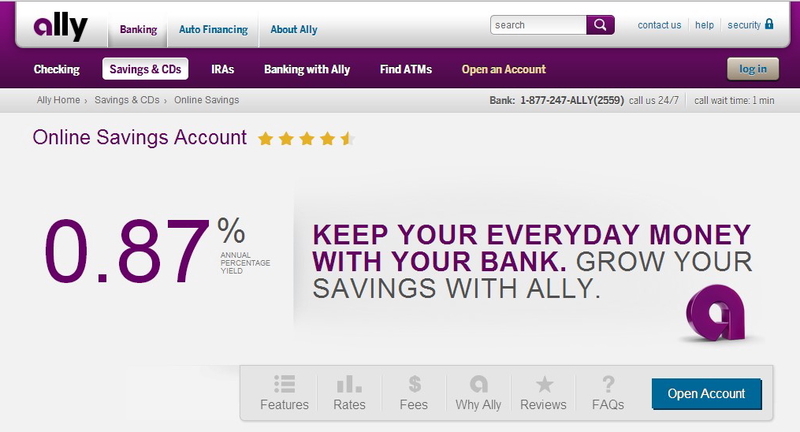 Ally also offers some convenient perks like the ability to link all your other bank accounts to your Ally account. You can also deposit your checks simply by snapping a photo of them with your smartphone. 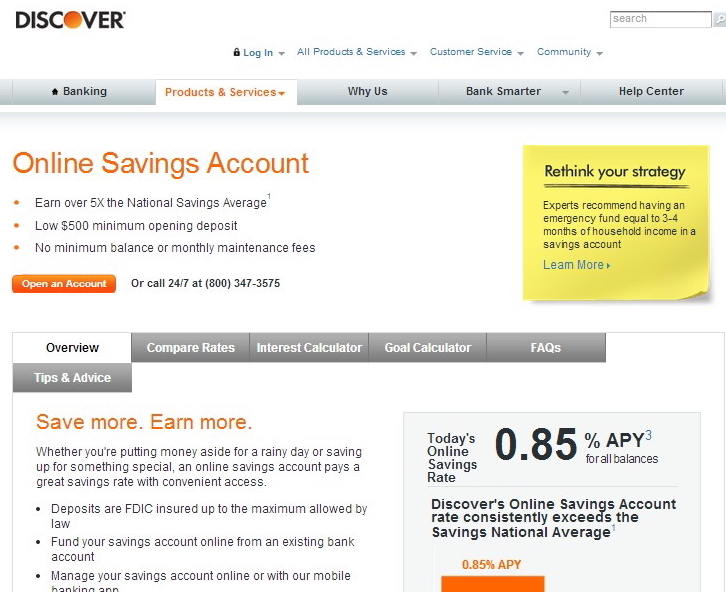 While better known as the credit card that gives you cashback rewards, Discover also operates an online bank that pays a hefty 0.85% APR on savings accounts. While an initial $500 is required to fund your account, there is no minimum required balance, and no monthly fees are assessed if you fall below your initial funding amount. Discover also offers CDs at a 0.95% APR (for 12-month CDs). This online branch of the First National Bank of Omaha offers a 0.85% APR and requires only a $1 deposit to start an online savings account. FNBO Direct also pays quite well on CDs, with 6-60 month CDs all earning a 1.15% APR. Yet another well-known credit card company, American Express also offers personal high-yield savings accounts that pay a 0.80% APR. No monthly fees are assessed and there is no minimum balance required. 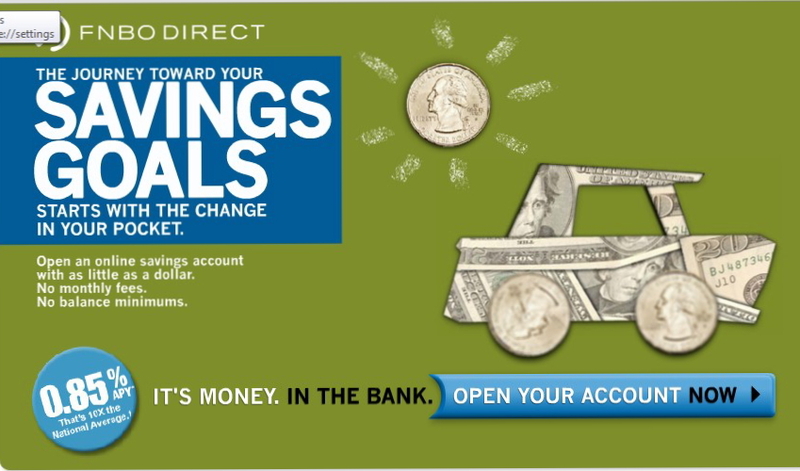 American Express also offers 36-month CDs that generate a 0.90% APR. 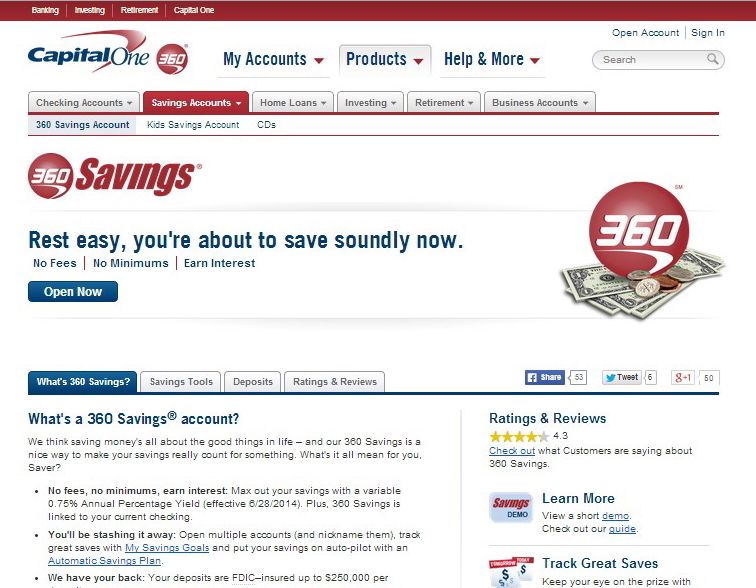 This bank offers several online savings options, including a 360 Savings Account for adults and a Kids Savings Account. Both items currently pay an APR of 0.75% and require no minimum balance. There are also CDs available that pay from 0.40%-0.90%. 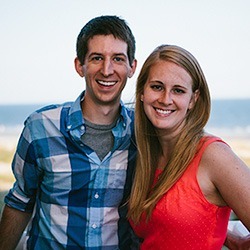 When it comes to keeping a savings account, why have your money earn a measly 0.01% or so when you can earn over 1% with some of these online winners? 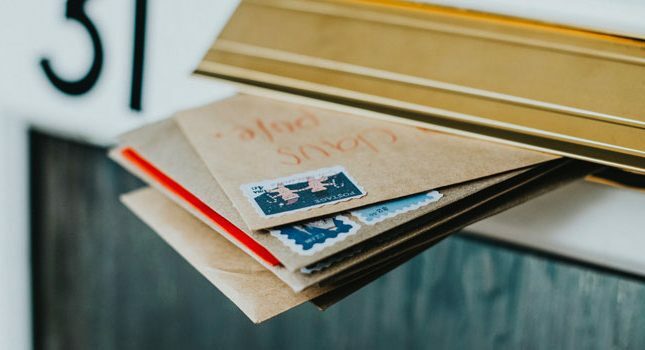 While such an APR doesn’t compare to what you can earn by doing P2P lending or stock trading, nevertheless, online savings accounts serve their purpose by giving you ready access to your cash whenever that rainy day or vacation comes up. I have accounts with four of the top ten largest market share credit card issuers. They sync fine with my credit monitor company. Synchrony is a farce if they think that their standards are any higher than the other companies that hold 98.7% of the market share. And when presented with my issue, their customer service instructed me to send a fax or a letter. They refused to direct a manager speak to me. Lowes should sever all business ties with this company.